Not too long ago, head coach Mike Krzyzewski was taking a leave of absence, star guard Grayson Allen was getting himself suspended, and former national-title favorite Duke was suffering through a stretch of three losses in four games. A couple weeks later, it’s fair to say we might have overreacted in declaring the Blue Devils to be toast. On Thursday, Duke posted an impressive, composed 86-78 win over No. 8 North Carolina, fighting back from five points down in the second half and pulling away late for its signature win of the season to date. With Allen leading the way and a group of super-talented freshmen on board, Duke was a runaway preseason No. 1 in the polls. But the Devils have been beset by issues from the start — “We’ve had more interruptions than six teams,” Krzyzewski said after the game Thursday — and lost four of their first seven ACC games, including a stunner at home against an NC State team that hadn’t beaten them in Durham since the heyday of the Roman Empire. That loss dropped Duke to No. 21 in the AP poll, and combined with all the recent negative headlines, it was easy to lose faith. It’s starting to come together for Duke on the court. Coach K is back on the sidelines. A trio of freshmen that missed parts of the season with injuries — Jayson Tatum, Harry Giles and Marques Bolden — are all healthy. Tatum had 19 points Thursday, including a huge 3-pointer with 4:26 to go and the two free throws that effectively iced the game. Allen, meanwhile, showed just how dangerous he can be when he’s not tripping people. He scored 25 points on 9 of 15 shooting, including 7 of 12 on 3-pointers. Leading scorer Luke Kennard added 20 points on 8 of 15 shooting and spoke to the team gelling, saying, “We all grew up tonight. 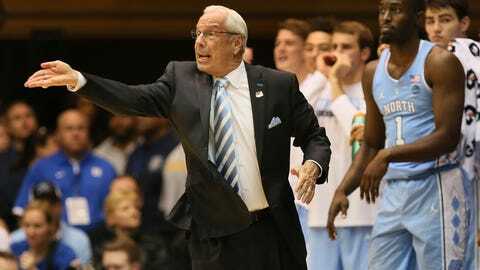 We were all together, we were all tough and very unselfish,” according to the AP. The Thursday win over their bitter rivals is easily the Blue Devils’ best so far and certainly must give them optimism with March on the horizon — North Carolina was dubbed by our Evan Daniels as one of the five favorites at this point. And it’s tough to pick any team in college basketball right now and call it a favorite. No. 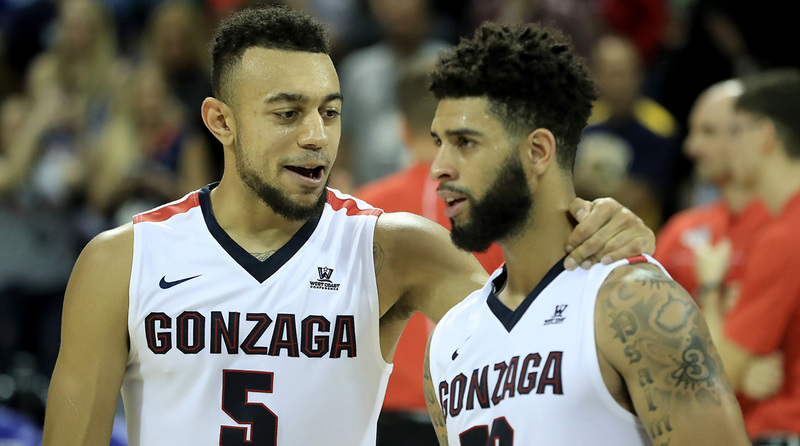 1 Gonzaga is unbeaten but also severely untested. All of the other teams in the top 15 have shown an ability to lose to one another, or even to a far inferior team. If the Blue Devils continue to round into form, they could be right back in the conversation come Selection Sunday. If they are, they will have certainly earned it. Duke still has three games left on the schedule against current top-15 teams — at No. 12 Virginia, vs. No. 14 Florida State and the rematch at North Carolina in the regular-season finale. The ACC tournament figures to give them at least one more such game, if not two or three. Don’t count them out just yet.